Nintendo is the one bright light in the mobile games industry. Finally entering the fray after years of resisting the trend, since last summer Nintendo has launched 3 top grossing titles: Pokemon Go, Super Mario Run, and now Fire Emblem Heroes. Nintendo is doing what no other free-to-play developer has done. They’ve broken into a market that many have long assumed to be completely locked up. But each release has been marked with controversy. Pokemon GO wasn’t developed by Nintendo, and Nintendo only sees a fraction of the profits. Super Mario Run was met with mediocre reviews, and many free-to-play veterans questioned whether the “Free-to-Start” model was the effective system for driving the most revenue and enjoyment from the product. Despite this controversy, Pokemon Go generated revenues of nearly $1 billion in 2016. Super Mario Run has generated $53M, and converts 5% of its player base. No matter your opinions on their approach, these are very impressive numbers. Fire Emblem Heroes is the first game in the series that feels closest to how free-to-play games on mobile have traditionally been built. It is obvious that this game was built closely with DeNA. This game shares a lot from other DeNA products and many other Japanese F2P mobile RPGs. So far the reviews are positive for the game, from critics, players and business analysts alike. The game has already grossed more then $5M, a week after launch and has reached near Top 10 grossing in the US, and is the #2 Top Grossing game in Japan. No doubt it will be another major success for Nintendo. Full disclosure: I am a massive Nintendo fan boy. Just like most game developers in the industry, I grew up playing Nintendo. I’ve owned every Nintendo console since the NES and have pre-ordered the Switch just to play Zelda on launch day. I am cheering for Nintendo with every release they do on mobile. I sincerely hope that Nintendo continues to operate as the shining star in the industry as a company that continues to deliver incredibly fun, approachable games for the next decades to come. That being said, I’ve now played Fire Emblem Heroes since its launch, and despite all the praise it’s gotten since launch there’s noticeable improvements that Nintendo will need to make to ensure the game lasts for the long term. Let’s first take a look at what they did right: How the core of the game is designed. The Core Loop of Fire Emblem Heroes is a proven one. Players battle, to gain rewards, to upgrade & collect more heroes. Their upgraded heroes allow them access to more challenging battles which give better and better rewards. 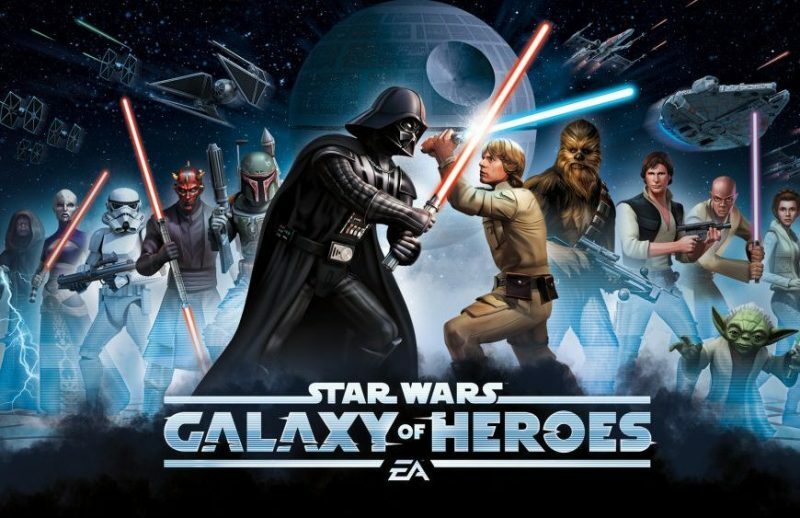 For this game to retain and monetize at its best, the player must always have a desire to constantly collect new heroes, and upgrade as many as possible to their maximum level. To collect these heroes, you have to use the gacha-based random drop system. Players collect orbs through single player campaigns to eventually start a summon. These summons feel great. Getting a famous character is rewarded with a unique animation that really captivates the feeling of getting something unique & special (Seen below). Nintendo created a great feeling gacha flow. Summons initially cost 5 orbs. Upon summoning, the player is presented with 5 options, colour coded. As you can see with the image below, the player has 1 red, 1 blue, and 3 grey options. 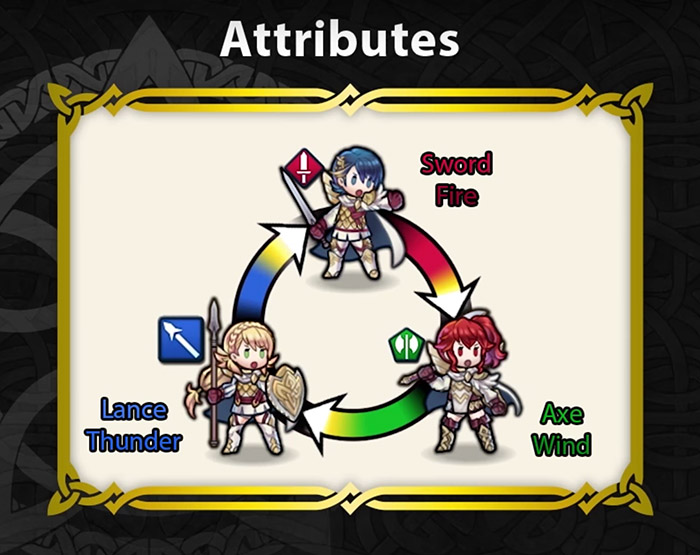 This colour code is coordinated with the types of units the player uses in the core battle. So the player can be strategic about choosing which colour they want. If they want a player that is of the red type, they can focus their summons on red gachas. Upon summoning, the player is presented with a character, ranging from 1 to 5 stars, depending on how lucky they are. But Nintendo also offers another aspect to summoning. Summoning gets less expensive the more you summon from the same group. See the above image. 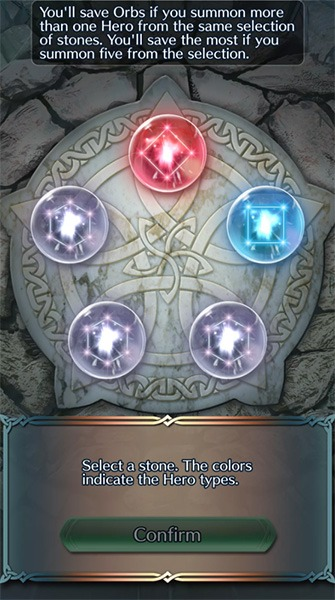 After being presented with 5 coloured stones, the 1st selection costs 5 orbs, 2nd costs 4, 3rd costs 4, etc. So to save substantial orbs players opt-in to grinding for more. To save 5 orbs for every 5 characters you summon, you need 20 orbs initially. 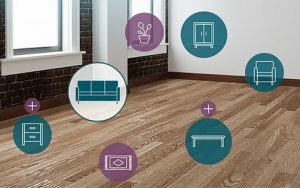 An interesting design decision that gives players an extra way to optimize their grind. Each day players are in the relentless pursuit of collecting orbs so they can summon their favourite characters from the series. Player can gather orbs from regular play. Each time they complete a single player mission, they are rewarded with a single orb. Since the difficulty of the single player missions increases quickly, the rate at which players can collect orbs slows quickly. 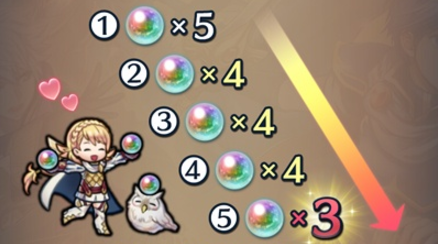 The game shifts from quick progress to having to train your heroes often to get orbs. This is a tried and true method of free to play monetization design. Pace the free collection of characters down to a pace that players start to want to spend in order to speed their progress back up again. What I believe drove the praise of this game was the core battle system. Nintendo managed to take a genre that many have attempted, and make it more mobile friendly than any other turn based strategy game that I’ve played on mobile. The game’s orientation is in portrait, and the key interaction is just dragging and dropping your unit around the field. It feels immediately intuitive, easy to play while on the go, and I rarely make a misstep with my commands. On top of a core interaction that is accessible, they managed to make the entire experience of completing a battle fit into the Starbucks test . You can complete a regular battle in roughly 40 seconds, a more strategically demanding battle in easily less than 3 minutes. The battles are usually 4 units vs 4 opposing units, really cutting down on the amount of moves you need to make per battle. Because each map is fairly small, it usually doesn’t take very long for the main action to start. Ultimately these short, punchy battles make for a great “just one more battle!” feeling. All this being said : simple interaction, small maps, small armies — this game has strategic depth. Based on the fire emblem battle systems that were designed back in 1990, Intelligent Systems (the game developer who makes the Fire Emblem series) has perfected this system over the years. Fire Emblem have been always known for their simplicity & depth. Working very well on mobile through the Gameboy Advance, DS, and 3DS years with stylus touch controls. The battle system starts with an easy to understand rock – paper – scissors-like system. With fire emblem, its red beating green, green beating blue, blue beating red. This is easy to understand, and the game gives enough in-game cues when you’re taking advantage of this system. You can expect a 20% boost to your damage when attacking a weaker element, or a 20% reduction when fighting against a stronger element. From here, the player can start to notice other strategic advantages they can take in battle. Archer & mage units can fire from a distance. Horseback and flying units can move quickly across terrain. Walls & mountains can make being a range unit more advantageous. Units can gain abilities that buff and de-buff other characters. There is a lot of strategic depth here which keeps each battle feeling fresh and collecting heroes relevant. The stats and their impact are all also very easy to understand. 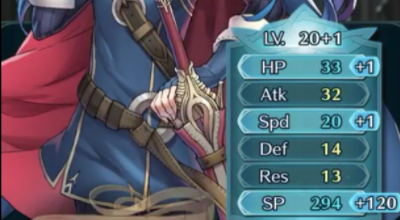 Atk is attack damage, which is counter to HP (Hit Points). Spd is speed, which if you have 5 more speed than an opponent, you hit twice. Def is defense, which is subtracted from the opponent’s attack when you are defending. Res is magical resistance, which is similarly subtracted when you are attacked by a magical spell. Each time a character gains a level they are rewarded with a random selection of increased stats. This allows the actual numbers themselves to stay relatively small and understandable, and means that having two of the same character could mean different stats. Great for collectors and min/maxers. But if these stats were pure random, you could see how builds could become unpredictable. Because the battle math is so basic (it just uses addition and subtraction), calculations could easily get out of control without Nintendo “guiding” the progress of characters to ensure that the values stay within limits. As such, it is obvious that nintendo has pre-planned the progression of each character from the beginning. While each character can have different stats, they try to stay within a controlled range and by the maximum level each character has the same amount of stat points. So no matter your luck, each character will be equal in theory, but mix/max style players can try to find duplicates of characters to find the optimal build. But what’s important with the stats is that it supports the core loop. As stated before, the core loop only works if players constantly have pressure to upgrade their characters. This system really puts pressure on the players to level up their units. Being just a few levels under another unit could mean your Defense stat being low and taking a lot of damage. 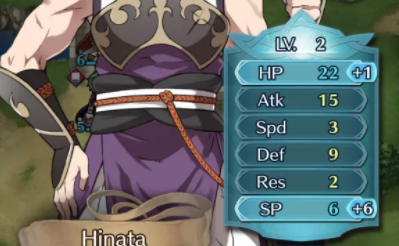 It could mean your Attack stat is just a few points lower than an opponent’s defense stat and thus can’t do any damage. This system doesn’t leave players with much space to compete at higher levels with their strategic skill alone. They need to level up every character in their team. Smartly by Nintendo, there is a lot of strategy in choosing who to bring into each battle. You are always given a preview of the opponent’s stat level, the makeup of their team, so you can effectively plan outside the battle who you want to bring. This level, “Prince of Mystery” has 2 red swordsmen, an archer, and a green mage all at around level 24. I can craft my team around taking advantage of this team’s weaknesses. I can ensure that my team is around level 24 before starting the battle. This feels both strategic & puts more pressure on the core loop: collecting & upgrading a large variety of heroes. Nintendo did a lot right with Fire Emblem Heroes’ gacha system. They have over 60 characters in the pool to pull from, adding more every few weeks and each feeling unique and strategic. They paced their orbs so that in the beginning you feel like you’re making quick progress, but as time goes by the pacing slows down substantially. They’ve also built a system which having a 5 star character means a lot: to upgrade a character from a lower star rating to a higher star rating takes considerable time and effort. So players are more likely to convert chasing after the 5 star character in the gacha than attempt to upgrade them from a lower star level. But this is where the simplicity of their hero progression system starts to show some issues. To upgrade a 4 star character to 5 star takes 20,000 feathers and 20 badges. To get this type of currency takes weeks of grinding. You can get feathers from competing in the PvP Arena once per week or sending your characters home. But playing for a few weeks I have gained ~4,000 feathers, mostly from sending home 4 star players I didn’t want. To get to 20,000 is a long painful grind. Players see clearly that to manually increase a single character’s star level is insanely difficult. This system has already seen some backlash from players, enough that Nintendo gifted out 10,000 feathers as part of a social media campaign. So the only effective way to get 5 star heroes means pulling them from the gacha pool — that must be great for monetization right? For myself as well, I have three 5 star heroes on my team, after spending $13 USD and a few days playing the game. I got the three 5 star heroes off of summons I didn’t pay for. I had so many free summons from regular play that it was easy to collect a wide variety of heroes. From these summons, I’ve already got three 5 star characters which helps me steamroll over the single player campaign of this game. The drop rate of a 5 star hero is 6%. So every time you spend 20 orbs, you have a 26.6% chance of getting at least one 5 star hero in the pack of 5. 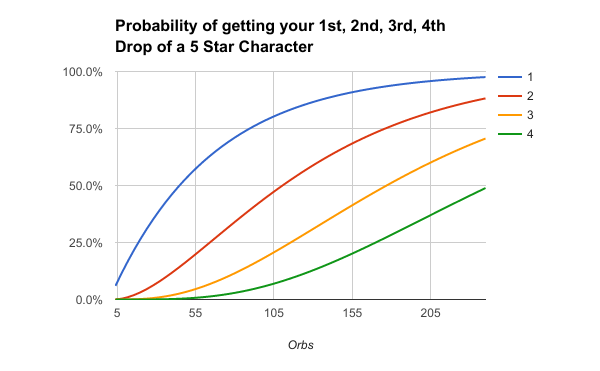 After spending 40 orbs, there is a 50% chance you will have at least one 5 star character. Not to mention Nintendo even increases the % chance of getting a 5 star character each time you fail to get one in a summon. Nintendo is specifically designing the gacha around players getting 5 star characters fast. 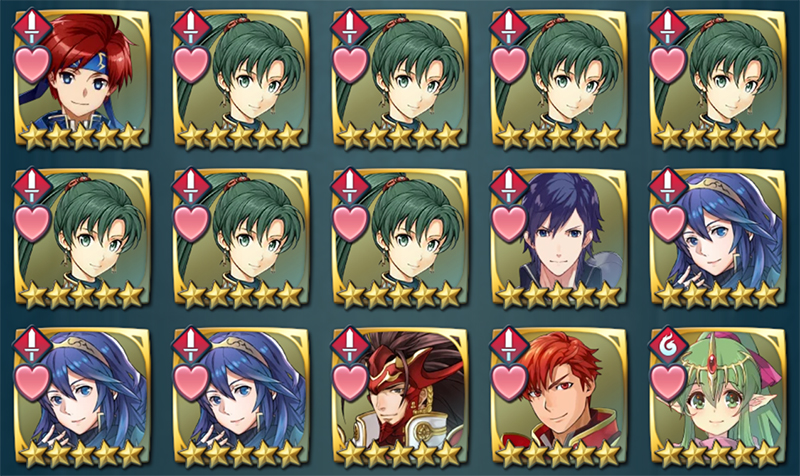 Getting multiple 5 star characters on your team would be fine if Fire Emblem Heroes had enough pressure built into the core loop around collecting a large variety of heroes, but since the game is so early, this isn’t the case. After you’ve collected four 5 star heroes, you can rip through content and walk away happy from the game. Only the die hard fans — the ones who are here just to collect for the sake of collecting — will engage in the gacha. 5 Gold Stars don’t matter if they happen all the time. In the effort by Nintendo to make a player friendly feeling gacha, they’ve built a system where 5 star characters are so common that I can reach a optimal team within a week of play. In Contest of Champions it takes weeks to collect enough shards for a single 5 star hero crystal that you can redeem in game. 5 star heroes rarely ever drop in crystals collected from regular play. So for Nintendo, for Fire Emblem to last they have to take a page from Puzzles and Dragons, Brave Frontier and other JRPGs. Introduce more star tiers with increasingly difficult gacha odds. Adjust the balancing for feathers and star progress so that it is feasible to reach a higher tier. From this, a player’s pursuit of the optimal team will take more than a week of play and a small amount of money. Layering on top of the issue from the gacha, comes to the Upgrade system. 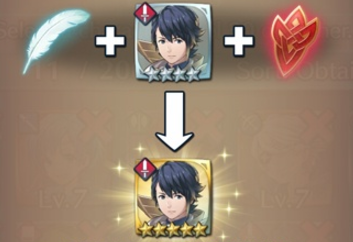 After you’ve gotten the top 5 star character, the effort it takes to build it to its optimal level is too simple and short. 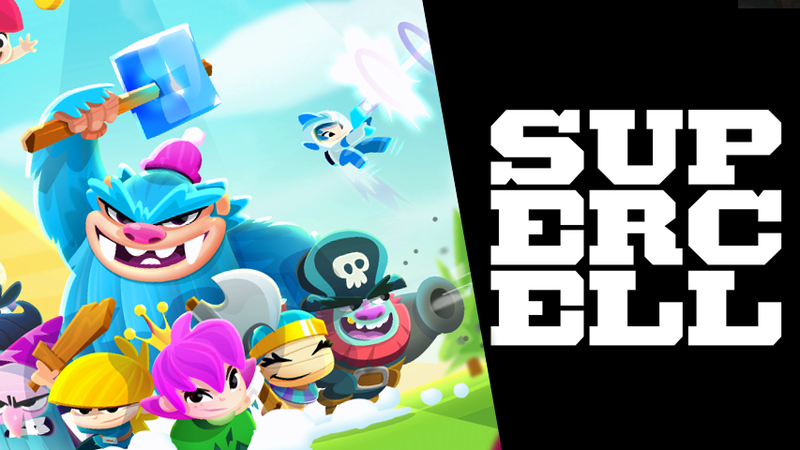 Each unit has a level cap of 40, which can be reached by collecting enough XP, or spending your crystals and shards. The XP required to level up gets exponentially higher, but for the most part can be completed in less than a week if you’re playing against high enough level opponents. But to build the absolute best version of a character, you have to take one last step, merge a copy with the same star level. 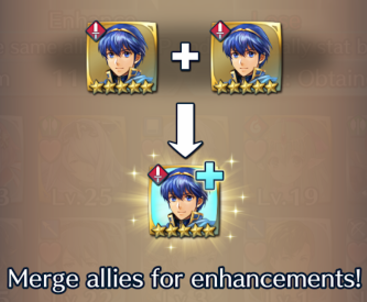 So to have the highest level 5 star Marth (pictured above), you need two 5 star Marths. This is a very small chance in the Gacha (0.001% per summon), and will obviously take a long long time to do. However, this gives only +1 level on the character. As pictured above, the character now can have a maximum level of 40+1, rather than 40. This means that the benefit of spending all the time & effort in the gacha to get the duplicate is all for a maximum of +1 to +5 battle stat points. The single level boost is just too low for too much grind. Outlined far more in detail in an older deconstruction, most F2P RPG games have 4 paths to upgrade your character to the maximum. Usually including a random drop gear system at least to make the long path to fully upgrade interesting throughout the development. The key element that Fire Emblem is missing: If I’m lucky enough to land a 5 star character, this needs to feel like just the beginning. I should want to invest a lot of time to get this hero to their maximum potential. This is how you ultimately craft strong long term retention in a game which drives long term success on the mobile top grossing charts. 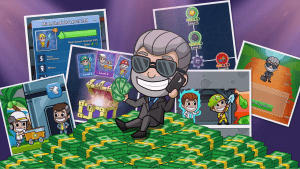 Free-to-play, at its foundation, is about retaining players for as long as possible. Long term retention decides your ultimate success, as I’ve spoken about at GDC, and written on this blog. But just a week after launch, and there are many reports of players reaching the end of content. Many of these players have been moderately engaged and only spent a small amount of money. 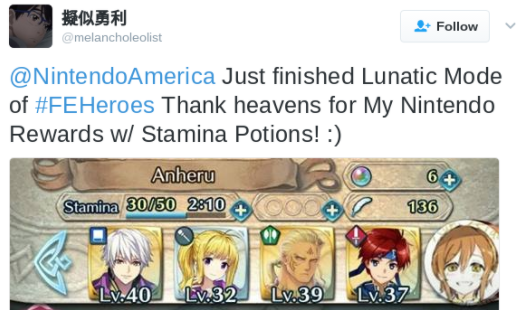 Below the player spent $40, only on summoning, and reportedly did not even get their final hero team from any of the summons they paid for. This is a result of generous gacha drops and quick upgrade pathing. Players being able to upgrade and progress through all the content much faster than Nintendo intended. If Nintendo wants Fire Emblem to continue to deliver million dollar per day revenues for months and years to come, they need to ensure their most engaged players are staying in the game. They can only do that if there is enough content in the game. The easiest way for a game to lose its audience is for its most engaged players to leave because they feel like they finished all the game had to offer. Fire Emblem has 9 Chapters + a Prologue containing just under 150 missions. With the pace that fire emblem lets you get through these missions though, these 150 missions, each lasting between 40 seconds and 3 minutes makes for a very fast progressing game. The side-effects of this fast progression is that Nintendo needed to add very aggressive pacing blocks to their single player campaign. The majority of complaints from players have to do with the stamina cost of levels skyrocketing early. By the mid-game, each battle costs roughly 10 stamina, and your stamina meter remains at 50. With battles being so short and most battles being fairly trivial to win (since you’re grinding), this feels frustrating by the end game. Nintendo had to do this to prevent players from training & beating the campaign missions too early. If they had created enough content however, this wouldn’t be the case. If they added additional modes to the end-game to pressure players into collecting & upgrading more heroes, this wouldn’t be the case. Comparing this to Galaxy of Heroes, Contest of Champions, Summoner’s War and Brave Frontier is completely different. Each of these games offer more modes, more content, and their pacing is structured around playing rather than waiting. On top of this, these games slowly introduce a more and more engaging social end-game that takes the pressure off of producing more content. 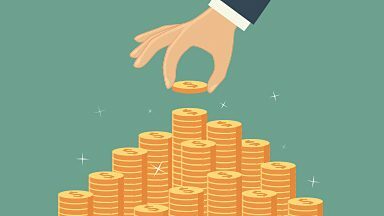 This way even if a big spending highly engaged player reaches the end of content early, they are actively engaged in guild wars or reaching the top of a leaderboard. Fire Emblem heroes has the tools to do this. With the success of Fire Emblem Heroes, they plan to release 2 chapters (10 levels) each month. They plan to introduce a new PvP mode in the near future. They have an arena mode, but it is paced too slowly (3 attempts maximum per day). They can create a guild-based meta-game that drives players to use their friend lists. Adding more additional modes which ask the player to have a larger collection of level up heroes would be the key to driving stronger long term retention. As it stands, players can progress through content too fast, leaving players with too few reasons to come back to the game. Overall this game is a massive financial success for Nintendo. Based on the rabid fan base so far, Nintendo has proven that based on the brand loyalty alone their fan base can reach the top of the mobile gaming charts. They have an impressively approachable and addictive core battle that has the strategic depth to last for years. That being said, Nintendo have an opportunity here not just to make a quick buck off their IP. 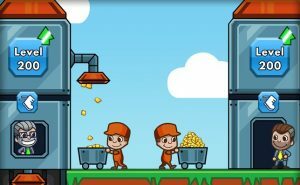 They have the opportunity to build a long-standing success that will pass Super Mario Run in revenue, potentially even Pokemon Go in the future. For this game to stay on top, Nintendo needs to act quickly to ensure this game can retain its top players. Add significantly more content to challenge players to collect more heroes and upgrade their team to the highest level. Work towards a deeper, social end-game which keeps players collaborating and playing for years. These 4 things are possible within a short amount of time. While the audience is still engaged in the game Nintendo can increase the scale of the systems and add significant content. Galaxy of Heroes and others took months after global launch before they launched a social end-game. Puzzles and Dragons added star tiers long after launch. Many of the JRPGs in the genre have interesting modes and competitions that push players to collect & upgrade a large set of heroes. 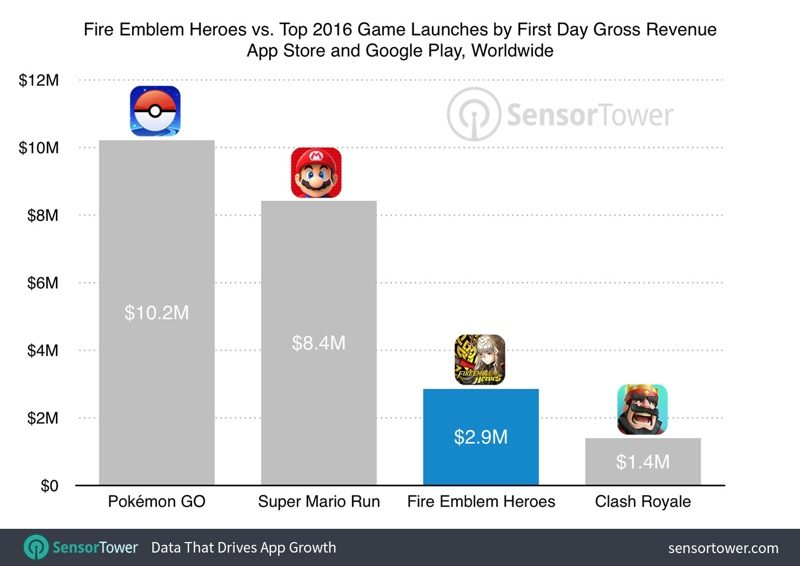 Nintendo has the time & ability to turn Fire Emblem from a million dollar release to a billion dollar mobile hit.